it if he also possessed the Infinity Gauntlet. With the abilities of the Power Gem, which grants its user supreme strength, and Reality Gem, that reshapes what is real and what isn’t, the Mad Titan would have no problem. The only thing is, though, that he would have no use for it. 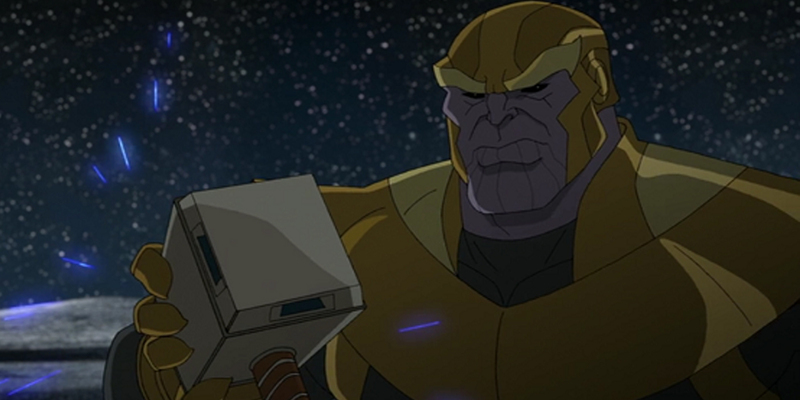 Mjolnir may be an extremely powerful tool, but it pales in comparison to the combined power lying within his Gauntlet.